Jackknife Accident Attorney in St Louis. Jackknifing happens when a tractor trailer, 18 wheeler, big rig, or any other large commercial trucking vehicle veers causing the trailer to come out to one side of the truck. Regardless of how fast the truck may be going during a jackknife accident, it will most likely result in a rollover. Jackknifing can occur when the wheels of a truck lock up during wet or icy weather conditions, high speeds, equipment malfunction, or steep curves. A jackknife accident can cause serious injuries including catastrophic injuries leading up to fatalities. If you or a loved one has been involved in a jackknife accident in St Louis, we encourage you to reach out to us for a free case evaluation. You can contact Burger Law by calling (314) 542-2222 or completing our online contact form. Gary Burger and his associates are proud to serve jackknife injury victims and their families in St Louis and the surrounding areas with unmatched guidance throughout the entirety of their cases. Our seasoned jackknife accident lawyers are driven to help injury victims recover well from devastating accidents, and you can guarantee we have the experience resources to recover max compensation for your damages. Burger Law has recovered millions of dollars in compensation for jackknife accident victims in St Louis. When you allow us to represent your case, you can prevent dealing with insurance companies who will try and get you to settle for a fraction of the cost of your damages. 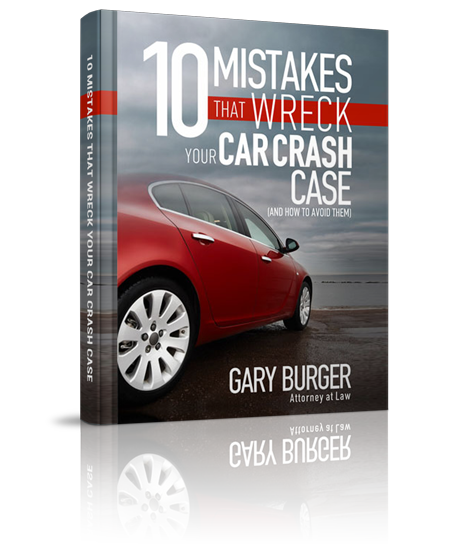 Gary Burger and associates work on a contingency-fee basis, and you are not expected to pay anything unless we win your jackknife accident case. The catastrophic injury attorneys at Burger Law offer legal services throughout the Greater Missouri and Illinois region. If you’d like to learn more about what causes a truck to jackknife, catastrophic jackknife injuries, or anything in between, contact the Burger Law firm today. We look forward to providing you with the highest quality of advice, support, and litigation. Our Jackknife Accident Lawyers are dedicated to providing the victims of jackknife crashes with expert legal advice and counseling. If you’ve been in a jackknife accident and believe that your accident may fall under another category, please choose from the below.